Having held senior management positions with Harcourts New Zealand and Harcourts Fiji in his 16-year real estate career, Grant is a strong leader with substantial property know-how and a passion for guiding the town’s largest real estate team to success. He spent years in the building industry before transferring his knowledge to real estate — he offers his team valuable guidance, particularly for section and building sales. Since joining The Highland Real Estate Group in 2014, Grant has enjoyed his dream lifestyle in Wanaka and spends spare time skiing, sailing and mountain biking. Hi. We are Terry & Aimee Griffin, how can we help you? Born and bred in Wanaka, Terry, Aimee and their family love living in this area and they have the experience and local know-how to help you make the best possible decisions. Strong negotiating and communication skills, a diverse client base, and by being accessible when you need them, the Griffins make your experience when selling and buying real estate as successful and stress-free as possible. With the Griffins easy going natures and ability to see the bigger picture ensures their clients feel at ease and able to discuss their needs openly. Enthusiastic and committed to providing the best level of service, the Griffins put the ‘real’ in real estate agent – call Terry & Aimee today to see why. Chris’s global credentials in the international business market have introduced an exciting new dimension to our team. A natural-born seller, Chris has worked within building companies, financial organisations and professional services firms in London dealing with worldwide client bases. He knows how to deliver in fast-paced environments, is used to operating under pressure and has high-level strategic experience in delivering through sales. Having worked predominantly in construction, finance and property, Chris knows all about the industries you’ll encounter in your property purchase or sale. You can rest assured he’ll impart every ounce of knowledge to you and go above and beyond what your typical consultant can offer — putting you in an advantageous position from start to finish. In our opinion, though, Chris should’ve been in real estate from day one. He has a way of building rapport and putting people at ease that you don’t often see (and that you might not associate with real estate consultants!). He’s approachable, patient and amenable, and he offers trusted and valued service. It’s no surprise that his clients quickly become his friends. Chris loves to ski, mountain bike, run, cook and play golf, and he’s not scared to sizzle a sausage when asked. An active member of Wanaka Rotary and the Lake Wanaka Coastguard, it’s important to Chris to give back whilst he enjoys living in this piece of paradise. He even asked us to extend an invite for a round of golf or BBQ to you through this profile — hopefully you’re starting to get a sense of his friendly and easy-going nature! Chris loves real estate because homes are where families are made and memories are created. It’s fitting, then, that he joined the closely knit, always developing and formidable Harcourts Wanaka team. Chris has taken Wanaka by storm and as a real estate professional is cementing his reputation as the man to look after you, achieve outstanding results and help you make the Wright choice. Denise is a sales professional who has developed and led teams to achieve exceptional results. Her success comes from meticulous planning, an unrelenting focus on the customer and a real determination to achieve goals in a competitive world. Denise builds strong relationships with clients, inspires trust and confidence and you will find her a pleasure to work with. Born and bred in Southland with a lifetime of holidaying in and around Wanaka, Denise moved from Christchurch to the welcoming community of Luggate to live her Central Otago dream. She is excited and highly motivated to work alongside you to achieve your goals, whether you are interested in either buying or selling. Drawing on her extensive experience as an educator, mentor and career coach Denise will support and guide you through every step of the process, making sure you are well informed along the way. In her spare time, Denise is renovating her 1950’s home with her husband and is a committee member on the Luggate Community Association. Denise is also a passionate advocate for the adoption of greyhounds as pets, and her "Dogs Of Luggate" 2019 calendar was well received as a local fundraising project. Eamon’s background in working for his family firm and managing over 60 employees means there’s only one way to describe him: a people person. A natural listener, Eamon is integrally inclined to put his clients’ needs first. He’s mindful that you place an enormous amount of faith in him when you appoint him with the sale of your home and he doesn’t take that position of trust lightly. By building a comfortable and trusting rapport, Eamon puts clients at ease during every transaction. Eamon’s strategic approach integrates powerful marketing techniques in a streamlined campaign. He maximises the exposure of your home in a style of selling that is anchored by hard work and honest service: you can rest assured that your property is in safe hands. Eamon’s real estate expertise is complemented by his wife, Riki’s: together, they form a team that works harder, longer and faster than everyone else — they know that hard graft is the difference between a good result and a great one. One call, one result. Love the home you own. Gavin loves Wanaka and treasures living in his ultimate nirvana. Where else can you breathe the fresh mountain air, drink the water from the lake, hear the gentle morning birdsong and be surrounded by likeminded people in a beautiful and vibrant town? His passion for this part of the world is matched by his commitment to selling or purchasing property here. He wants to help you find your dream home and your version of paradise. Gavin’s approach to real estate is that great decisions can only be made when they’re based on facts. It’s his aim to interpret the facts of the market forces (past sales, current demand and competition) to help you make the best and most informed choices you can. And with more than 20 years of experience in marketing and sales across the fast-paced sectors of banking, telecommunications and realty, he’s seen that this really is the only way to achieve exceptional results. Gavin truly comes into his own when you look at the way he markets property. He’s highly adept at deploying optimal strategies across choice channels and within your budget to solicit the attention of key audiences. He’s skilled in utilizing a combination of traditional and modern marketing techniques to heighten interest and competition amongst buyers — whether they’re locals, nationals or internationals — and put you in an advantageous position. Gavin is immersed in the property world — he’s from a family of builders and his partner works in architecture. Together they have completed several new-builds and renovations, experiencing first-hand the trials and tribulations that face owner-builders. They have two lovely daughters and Gavin loves to sail, snowboard and mountain bike in his spare time (no wonder he chose Wanaka). He’s also a qualified accountant and an active member of Rotary. Regardless of whether it’s your first or tenth property purchase or sale, Gavin is someone who puts your wants and needs first. He shapes his work around your aims and endeavors to guide you with an accommodating and informative style. Gavin’s ultimate goal? To be your trusted advisor in realty. Guy has a long-standing connection with Wanaka and the Southern Lakes region. After two decades developing snowsports within New Zealand, he has more recently spent his time as a consultant in the residential design & construction industry and marketing businesses for sale throughout the country. Guy dedicates his spare time as a trustee for Kahu Youth (local youth organisation), and is associated with both the local rugby and sailing clubs. Guy is also a member of The Rotary Club of Wanaka. Together the Altys have bought and sold a wide range of residential and commercial property and this experience has given them a solid understanding of how to add value to every real estate transaction. Guy & Sheryl are focused on achieving desired results for their clients and their proven team work ensures that all aspects of representing your property are managed professionally and with precision. Their strong national and international network compliments the Harcourts brand and ensures your property gets in front of a broad range of buyers. Through their sound business acumen & professional approach Guy & Sheryl can help you achieve the best possible price in the market for your property. If you’re looking for a great real estate experience and a successful outcome then talk to The Altys! Vast property knowledge, large networks and a sound history in negotiation are key considerations when engaging a consultant to work with you. Harry Briggs will offer you his professional service and assist you through the gauntlet of buying, selling or leasing property. Real estate transactions today require close attention to ensure all parties involved are being heard and their expectations are being delivered upon. When you choose to work with Harry, you will find his approach informative, reliable and professional. Harry has spent his life in Otago, now working with New Zealand’s largest and most trusted real estate company, Harry is here to help. Jeff is a born and bred Southlander from a rural background. 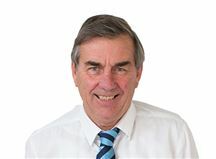 Having had 42 years experience in the stock and station industry he has held the positions of rural stock agent, real estate branch manager and regional manager (with a staff of 400). He has also held an auctioneers licence for 50 years. Jeff is a very competitive sportsman and brings this drive for success to all his real estate clients. Jeff is passionate about helping people achieve their dreams and goals. His excellent people skills help to deliver a transparent sales process achieving a ‘win/win for all parties involved. I have been working in real estate for a number of years now and love helping people with their property needs whether it be buying or selling. Working with honesty and integrity and keeping in close contact with all my vendors and buyers has enabled me to build solid relationships and establish a good network and database of customers. Helping clients achieve a successful result is very rewarding and what drives me to succeed, continually grow and improve my business. My husband and I moved to Wanaka from Colac Bay in Southland eight years ago to new challenges and haven't been disappointed. Wanaka is an especially beautiful and safe place to live and we really enjoy the four distinct seasons after moving from the south coast! My background is in banking, farming, small business management and property investment and so I have a broad base that helps me better understand my clients. I have three grown children who are all doing very well in their respective fields and when not working I am busy supporting my husband in his role as Pastor of a local church and leading the music team there. The role of a real estate salesperson has sometimes in the past been seen in a poor light. My aim is to show you that the new generation of salespeople, who are continually being upskilled can serve you with honesty and integrity to give you a rewarding and satisfying result. I am happy to say that I strive to be that salesperson. Paul Miller moved to Wanaka in 1976 after purchasing the basis of what later became Wanaka Lake Services, a commercial launch, boat hire and trout fishing operation which he ran for 20 years. It was after the sale of this successful business that Paul entered into the Real Estate Industry. Paul is married to Jeanette and has two adult daughters and a granddaughter. Being a very community minded person he has been involved with and chaired the Wanaka Theatre Group, Swimming Club, Swimming Pool Committee, the Promotion Association and served on the Community Council. Paul has become one of Wanaka’s longest serving, most experienced and most successful real estate salespeople. He is renowned for his attention to detail, local knowledge, professionalism and ability to take the sales process to another level. Paul’s easy manner enables him to interact with people from all walks of life ensuring no business opportunity is ever missed. For your best result and real estate experience put your trust in Paul Miller. I am now living in Wanaka after 35 years servicing the business community in Invercargill, and running my own property rental portfolio. I am a people person and look forward to working with people to achieve their goals. My interests outside work include gardening, sharemarket and all sports. I played table tennis, cricket and soccer for many years and now am attempting to play golf and win the odd race with my race horse. Phillip knows the importance of creating a great experience for his clients being a local restaurateur; working hard also comes naturally being an ex-Farmer. Along with this he understands the power of networks from his time as a successful insurance broker. Riki Young. After 11 years of working for Harcourts in roles ranging from property management to advertising and marketing, it was a natural progression for Riki to step into a sales position. Riki is inherently results-focused and completely aware that the difference between a good real estate result and a great one is the effort your sales consultant is prepared to put in. Focused and 100 per cent committed to her clients, Riki is set apart by her unrelenting work ethic and dedication to every endeavour. Having worked for Harcourts for more than a decade, Riki knows the industry inside out and uses her vast accumulation of market knowledge to her clients’ advantage. Pure passion for property has gotten her to where she is today and clients hugely appreciate her industry know-how and can-do approach. Riki and her husband Eamon come together to form “The Youngs” and they have rapidly become locals’ first choice for real estate, providing clear communication, dedication and a high standard of attentive service as they pursue your property dreams alongside you. Love the home you own. My energy is spent to help make the purchase or sale of your Wanaka Real Estate as enjoyable and straightforward as possible. Having bought and sold many properties myself, I understand how to add value to every real estate transaction and give you the service you deserve. With my broad experience in all facets of the market I aim to help you get the result you want. For an honest and reputable licensed property consultant that's with you every step of the way, call me today! Sue lives her company values to exacting standards, placing people first, making sure the right thing is always done, being courageous, humour and a enjoying a laugh comes very easy for her. 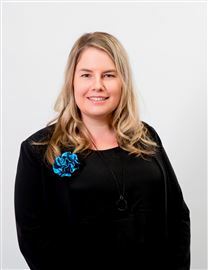 Ranked the number one consultant in her Wanaka office this year (2014/2015) was testament to the energy and tireless vigour she injects into all her real estate endeavours. When you take time to read the wonderful things her clients have written about her, you gain a better understanding of Sue’s integrity, relentless work ethic and solid performance they have appreciated through engaging her. Community is the place where Sue continues to shine. Her 20 plus years of commitment to the Upper Clutha Lions organisation, along with the Albert Town Community Association and her work as a Hospice volunteer, again cements her dedication to make a difference in the district by putting people first. With her three sons also extremely dedicated to their professions, Sue understands the value of family and commitment. She relates to the pressures of buying and selling real estate and works extremely well to assist her clients achieve their goals in a smooth manner. By choosing to work with Sue you take advantage of years of knowledge and expertise and gain an advocate with a wonderful and understanding personality to look after your interests. 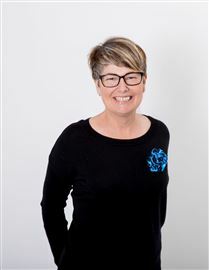 The face of our property management team, Anne has become hugely respected and well-loved in the Wanaka community since entering the industry in 2002. Having seen the rental market from all angles, Anne’s solid understanding of the local market is second to none. 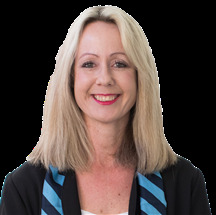 Her sound knowledge spans every complicated law and regulation surrounding property leasing and she delivers a stress-free, easy experience for all clients through dedication and passion for the place she calls home. People consistently refer to Anne’s attention to detail and effective communication as differentiators in Wanaka property management. Her logical, level-headed approach is appreciated as she navigates between landlords and tenants with ease, and she always operates with absolute professionalism and efficiency. “Local knowledge is very important in my work and I believe that my deep local roots make a big difference in a small community like ours. I’m proud to help uphold the Harcourts reputation as the most trusted property management team in town.” A real people person, Anne’s friendly nature puts all her clients at ease and make her the person they turn to time and time again. 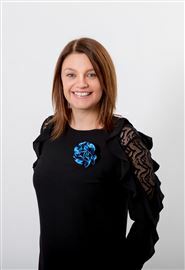 She is the recipient of many personal Excellence awards in the Otago-wide Harcourts group and her personal motivation and ability to inspire others consistently ensures high standards from the Wanaka rentals team. For honest advice, experience and guidance in every aspect of renting, Anne must be your first point of call. Give her a call today. A long-standing Wanaka resident, Lisa uses her extensive local knowledge to deliver an outstanding property management service for the community. Lisa moved to Wanaka in 2003 and has loved living and working in this beautiful part of the world ever since. A successful career in property management means she’s able to help others enjoy their dream lifestyle here, too. With an absolute focus on customer service, Lisa is efficient, organised and reliable: she takes care of every detail for her landlords while simultaneously building strong relationships with her tenants. She has quickly become a trusted source of advice for both sides and she’s known for her detailed understanding of the ins and outs of tenancy law. “In my experience, current and prospective property owners look to property managers for stress-free service, detailed market knowledge and a local’s understanding of Wanaka. So that’s what I aim to provide!” Lisa is an invaluable member of the Harcourts Wanaka team and her commitment and enthusiasm help Harcourts lead the way in Wanaka rental management. She’s always on hand to help with renting and tenancy enquiries so get in touch today. Call your preferred Harcourts Wanaka Sales Consultant on 03 443 7829. On An Acre In Town! Brand New and Good to Go! Wrap this up for Christmas! Entry Level - Yes Really! New to the market and Titled! Maybe Cheaper Than You Think? Oasis in a Desirable Location. Maybe Less Than You Think...?